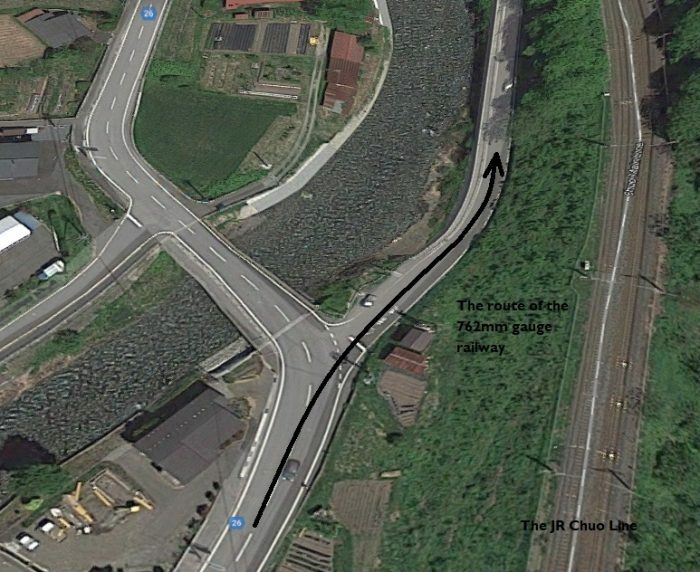 The adjacent annotated satellite image from Google Maps shows how the area of the sidings has been developed over the years. 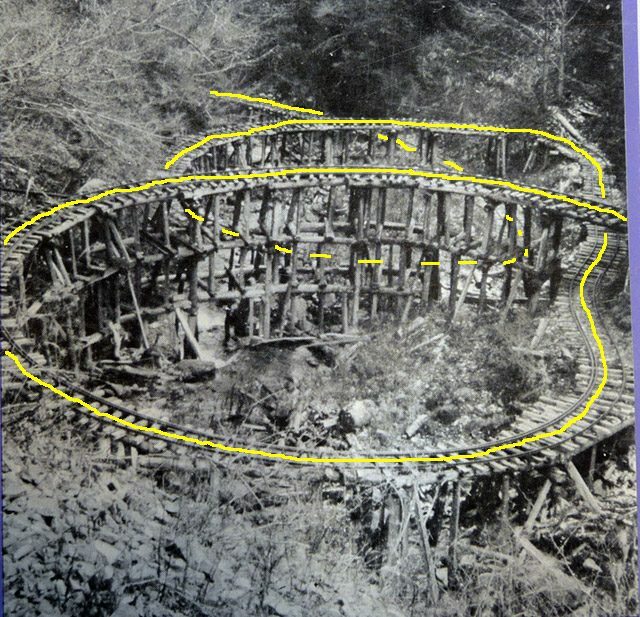 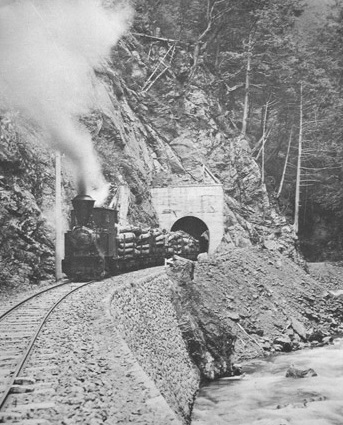 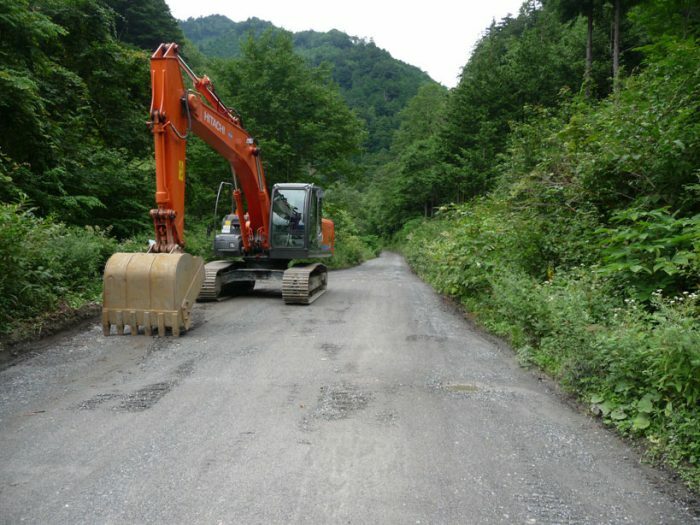 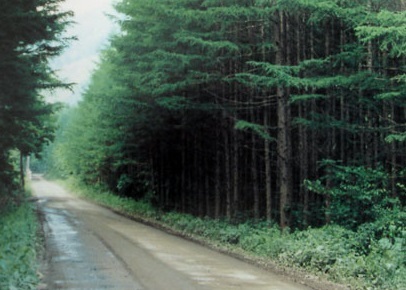 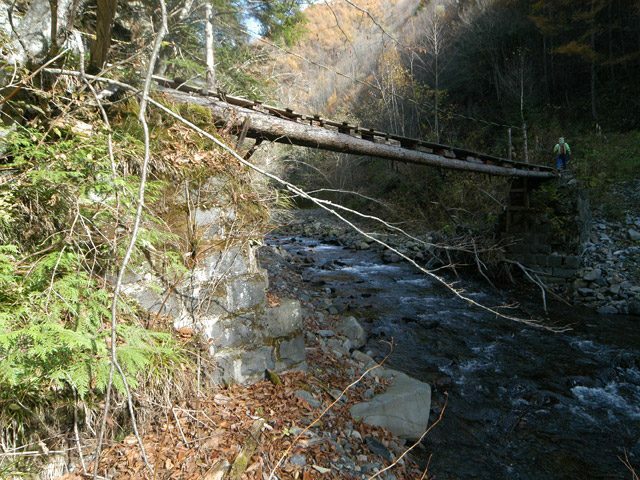 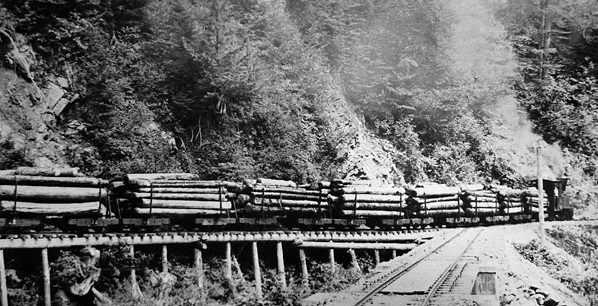 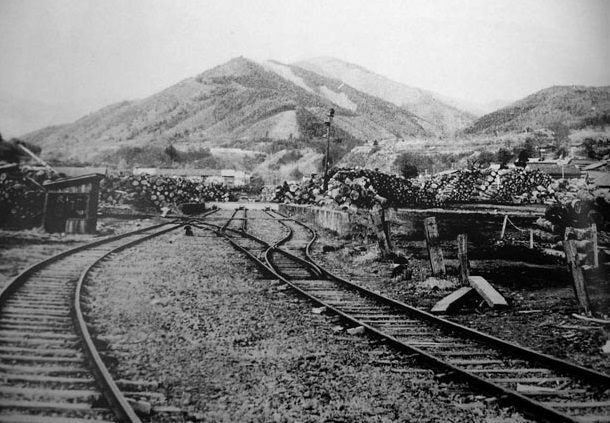 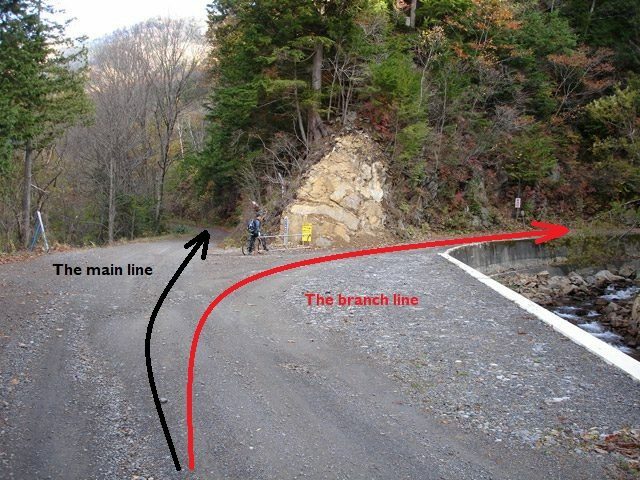 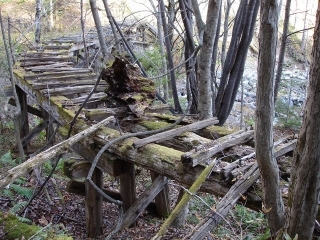 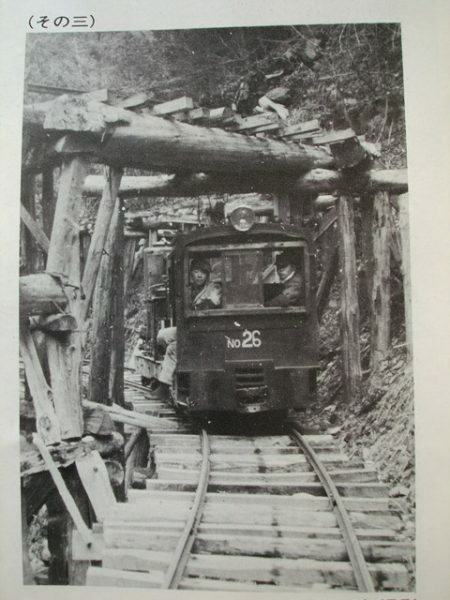 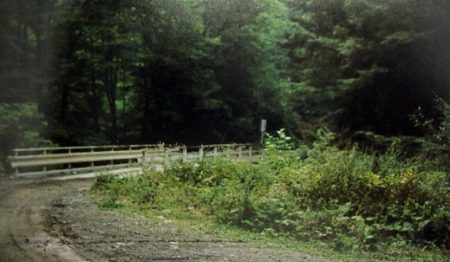 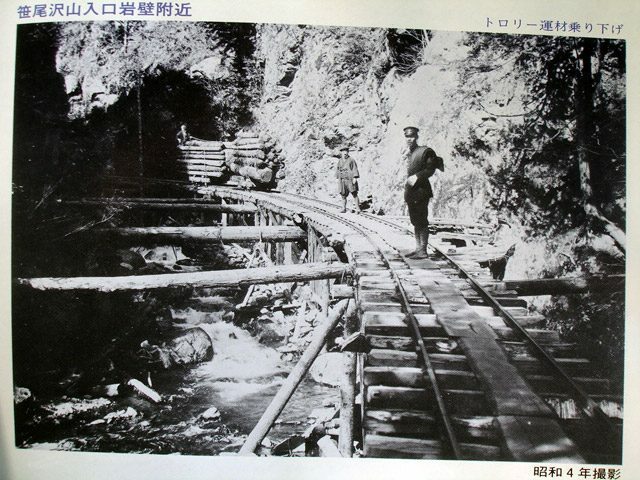 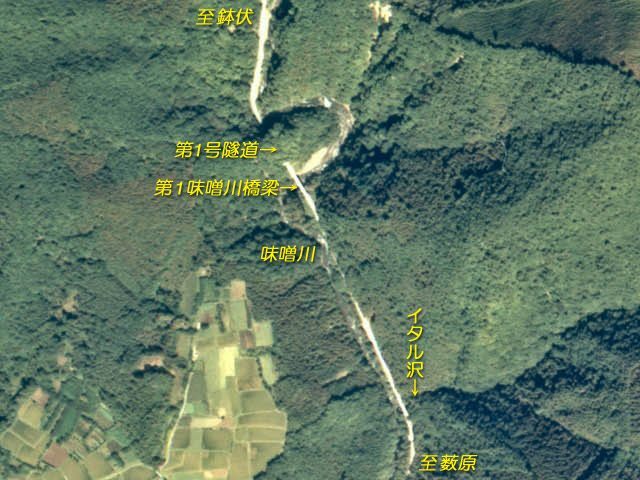 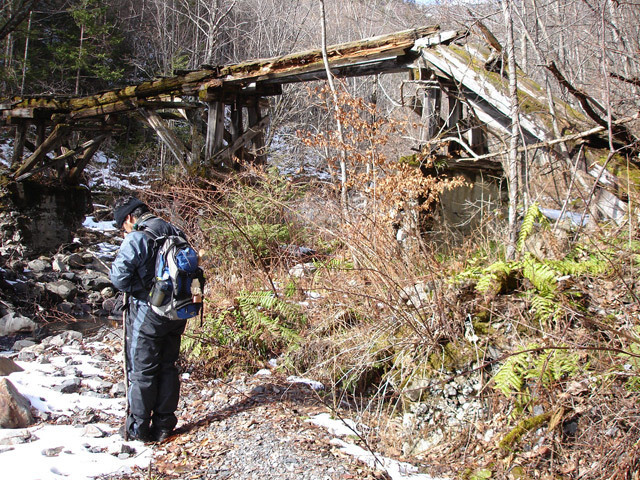 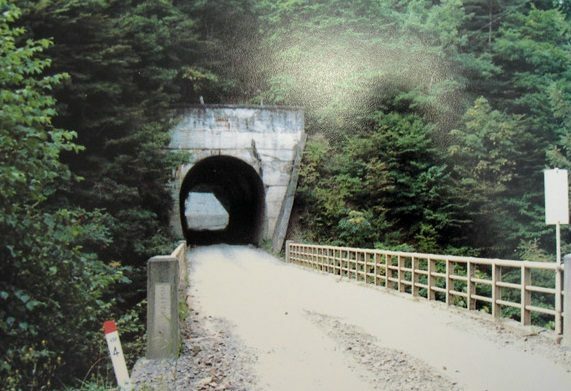 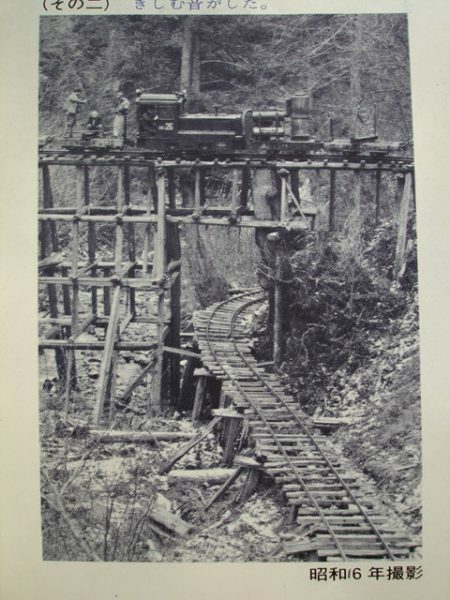 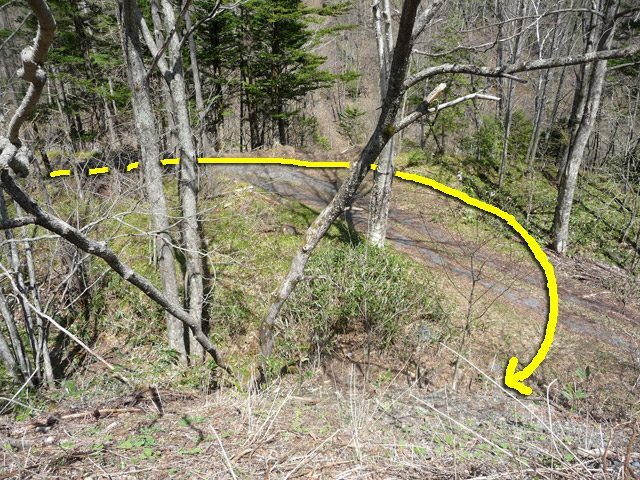 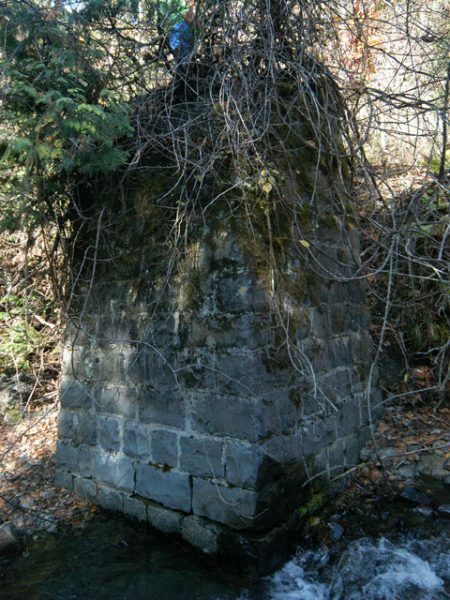 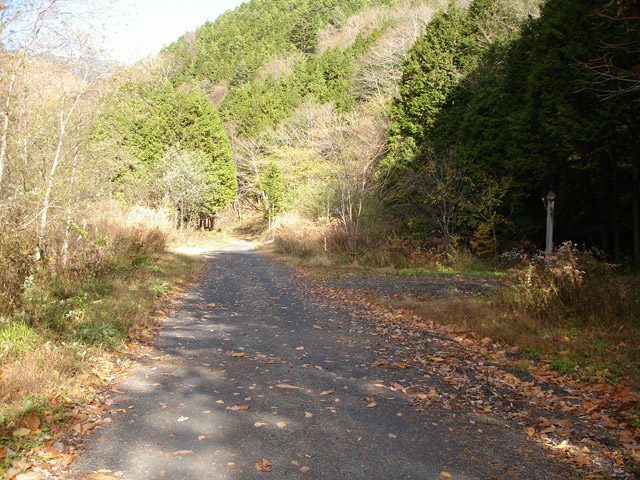 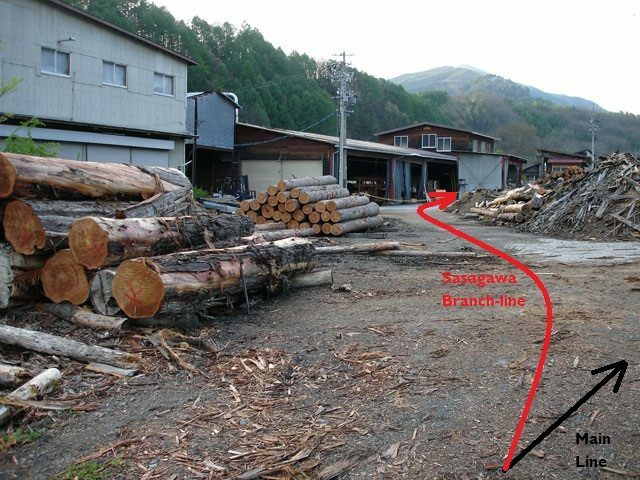 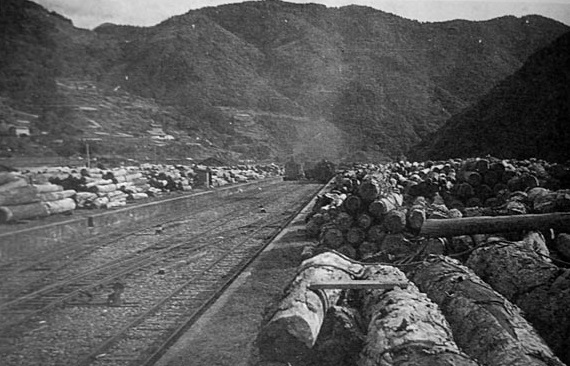 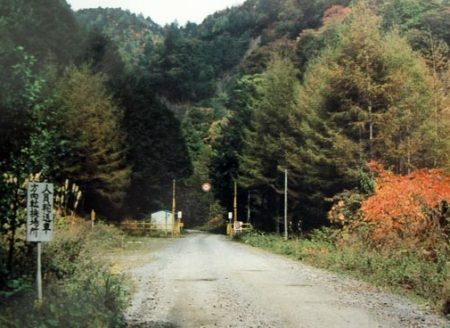 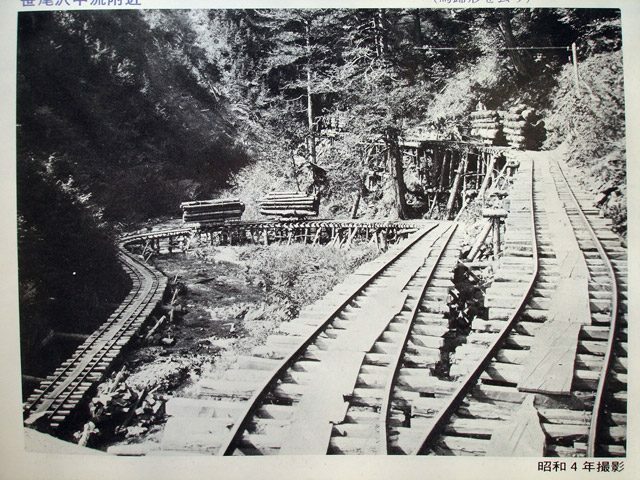 A full survey of the length of the Sasaozawa Line has not been attempted but rintetsu.net carries a few photographs of the line which were taken in 1929 and originally included in a Japanese language book entitled “Ogiso Forest Railway” which was issued by Yabohara Forestry. 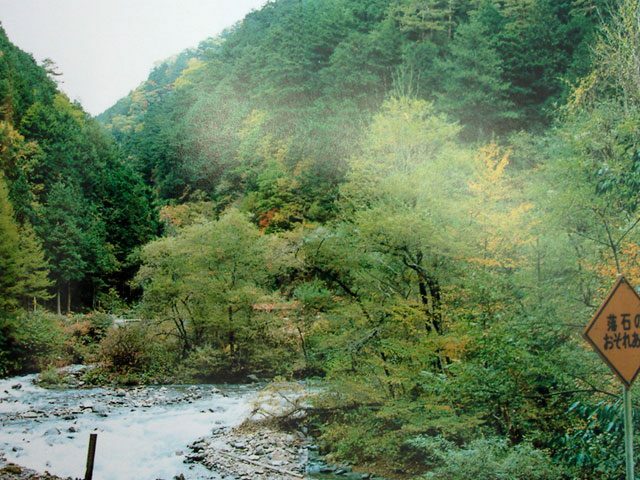 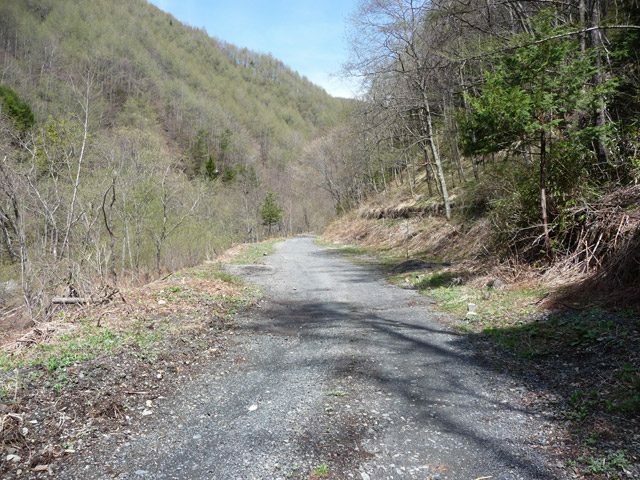 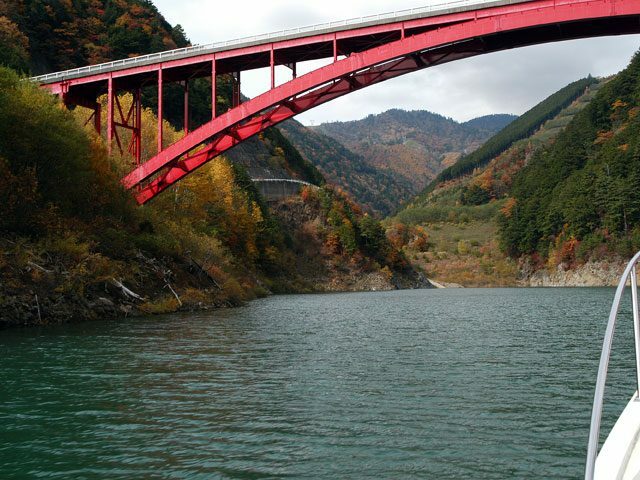 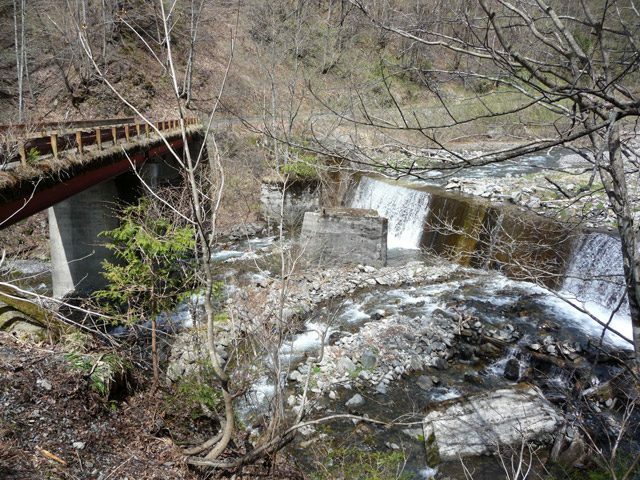 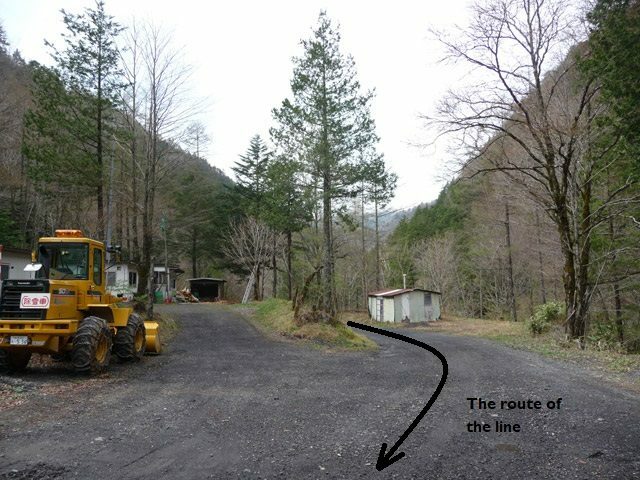 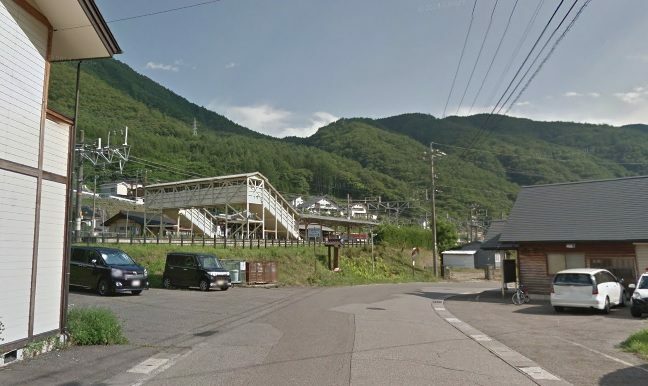 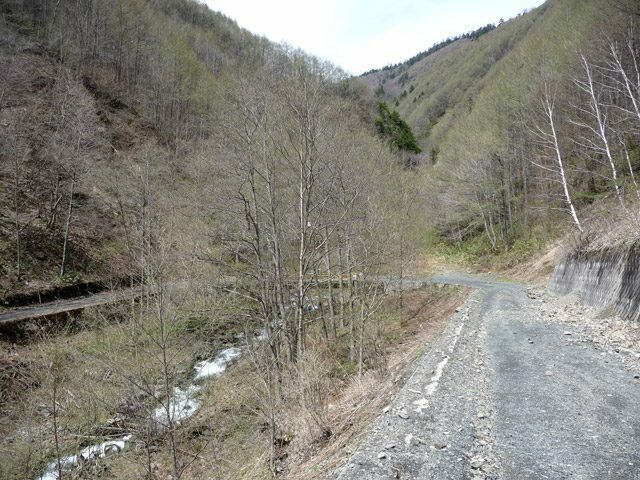 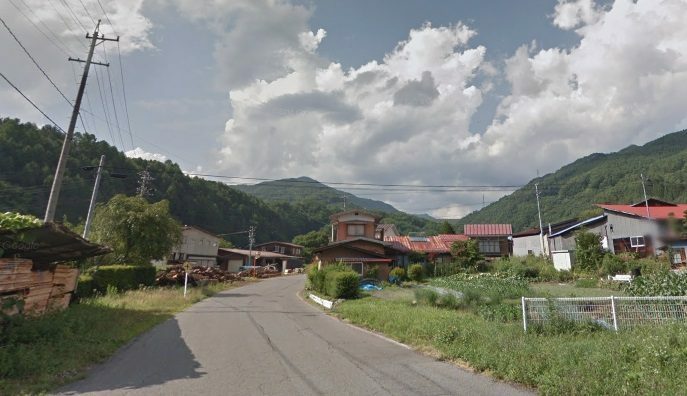 http://rintetsu.net/nagano_05/yabuhara01/yabumap_1.html, accessed on 2nd March 2019.
http://rintetsu.net/nagano_05/yabuhara01/yabuhara_001.html to http://rintetsu.net/nagano_05/yabuhara01/yabuhara_004.html, accessed on 2nd March 2019. 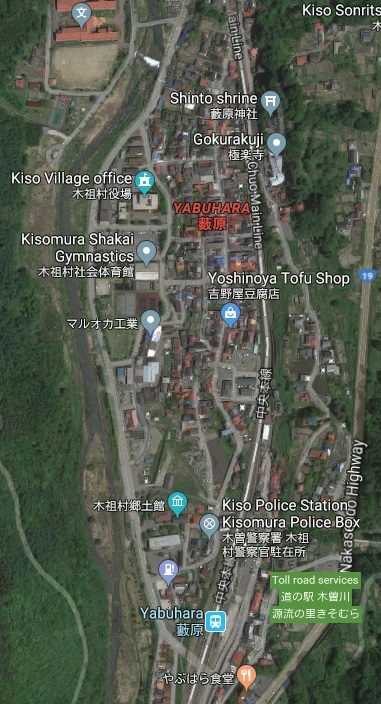 Kisei Village History; cf. 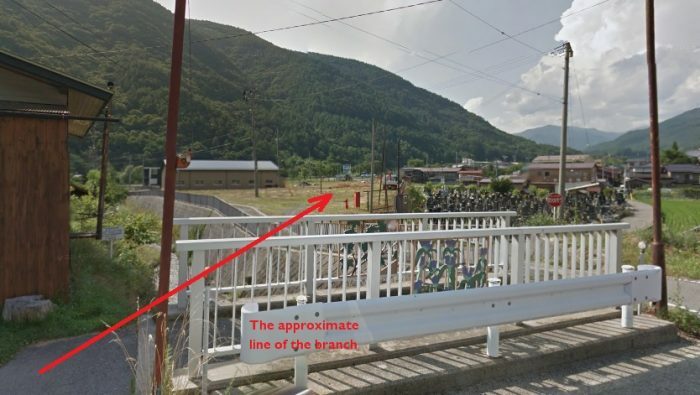 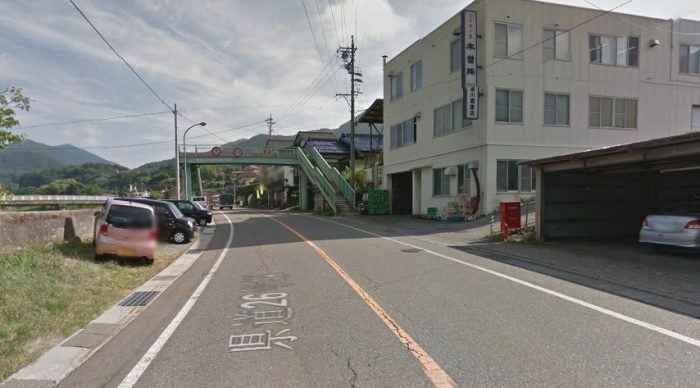 http://rintetsu.net/nagano_05/yabuhara01/yabuhara_003.html, accessed on 2nd March 2019. 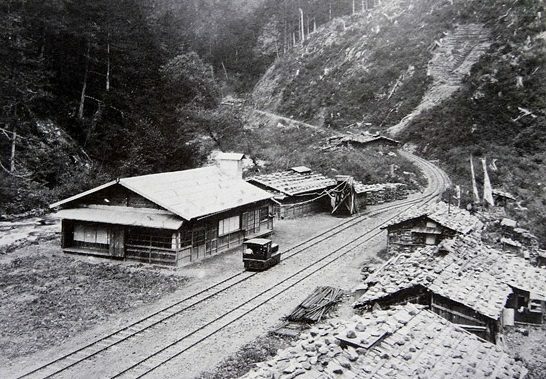 Kisei Village History; cf. 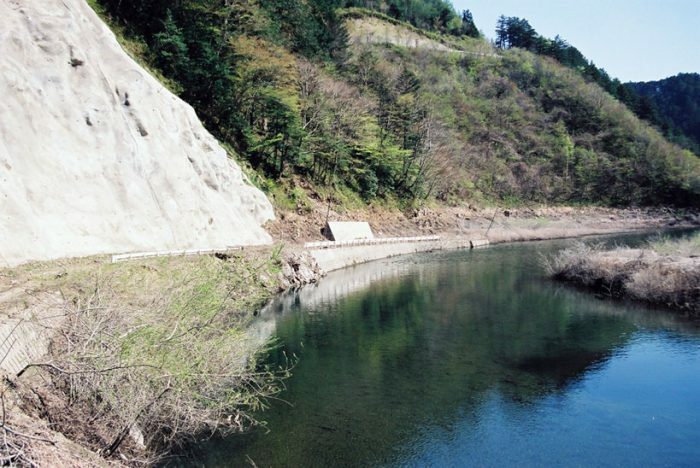 http://rintetsu.net/nagano_05/yabuhara01/yabuhara_004.html, accessed on 2nd March 2019. 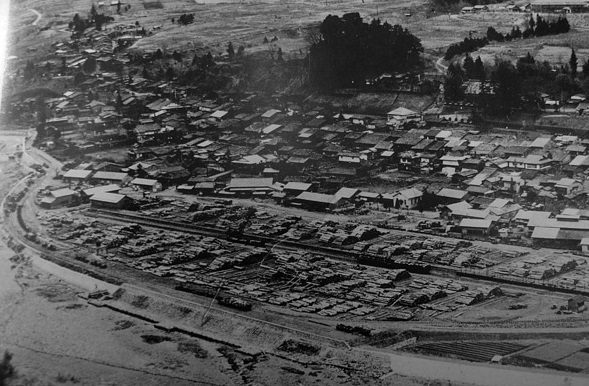 History of Kisan Village 100 Years; cf. 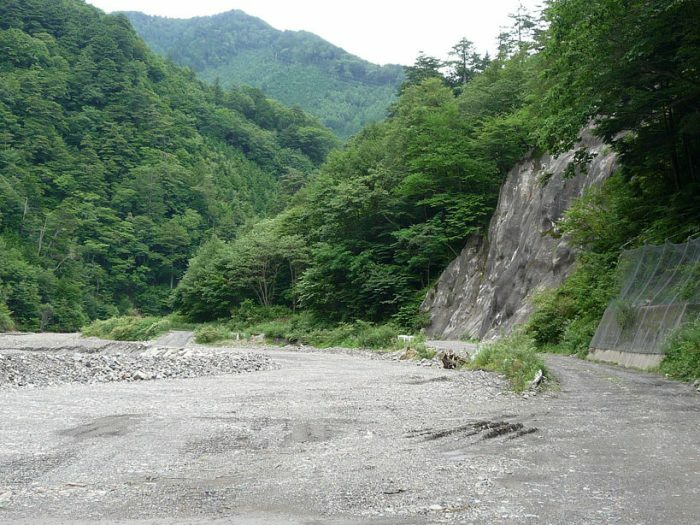 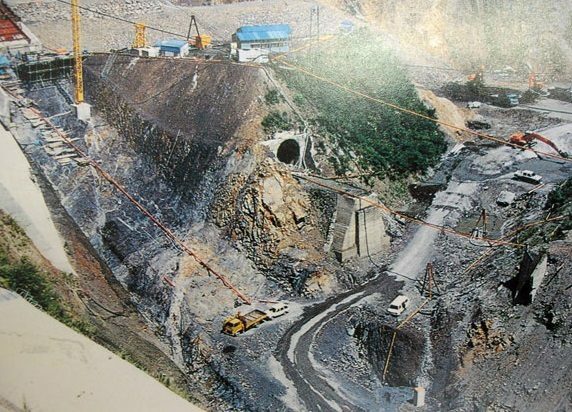 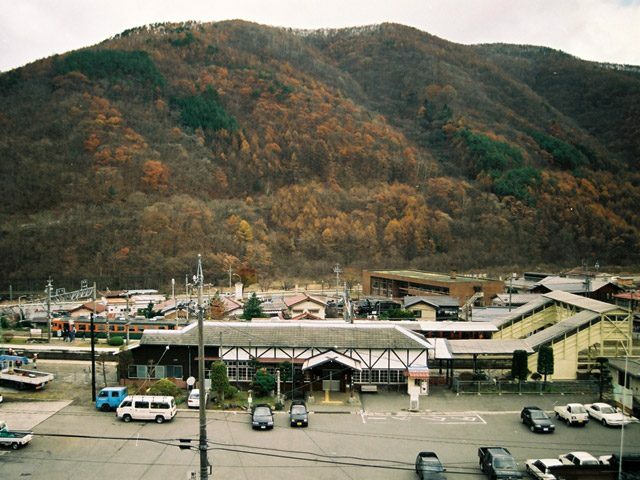 http://rintetsu.net/nagano_05/yabuhara01/yabuhara_004.html, accessed on 2nd March 2019.
http://rintetsu.net/nagano_05/yabuhara02/yabumap_2.html, accessed on 3rd March 2019.
http://rintetsu.net/nagano_05/yabuhara02/yabuhara_008.html, accessed on 3rd March 2019.
http://rintetsu.net/nagano_05/yabuhara03/yabumap_3.html, accessed on 3rd March 2019.
http://rintetsu.net/nagano_05/yabuhara03/yabuhara_009.html to http://rintetsu.net/nagano_05/yabuhara03/yabuhara_013.html, accessed on 3rd March 2019.
http://rintetsu.net/nagano_05/yabuhara04/yabumap_4.html, accessed on 3rd March 2019.
http://rintetsu.net/nagano_05/yabuhara05/yabumap_5.html, accessed on 3rd March 2019.
http://rintetsu.net/nagano_05/yabuhara05/yabuhara_022.html to http://rintetsu.net/nagano_05/yabuhara05/yabuhara_032.html, accessed on 3rd March 2019.
http://rintetsu.net/nagano_05/yabuhara06/yabumap_6.html, accessed on 3rd March 2019.
http://rintetsu.net/nagano_05/yabuhara06/yabuhara_033.html to http://rintetsu.net/nagano_05/yabuhara06/yabuhara_038.html, accessed on 3rd March 2019.
http://rintetsu.net/nagano_05/yabuhara07/yabumap_7.html, accessed on 3rd March 2019.
http://rintetsu.net/nagano_05/yabuhara07/yabuhara_039.html to http://rintetsu.net/nagano_05/yabuhara07/yabuhara_041.html, accessed on 3rd March 2019.
http://rintetsu.net/nagano_05/yabuhara07/yabuhara_046.html to http://rintetsu.net/nagano_05/yabuhara07/yabuhara_051.html, accessed on 4th March 2019.
http://rintetsu.net/nagano_05/yabuhara08/yabumap_8.html, accessed on 4th March 2019.
http://rintetsu.net/nagano_05/yabuhara08/yabuhara_052.html to http://rintetsu.net/nagano_05/yabuhara08/yabuhara_063.html, accessed on 4th March 2019.
http://rintetsu.net/nagano_05/yabuhara09/yabumap_9.html, accessed on 4th March 2019.
http://rintetsu.net/nagano_05/yabuhara09/yabuhara2_hz01.html to http://rintetsu.net/nagano_05/yabuhara09/yabuhara2_hz08.html, accessed on 4th March2019. 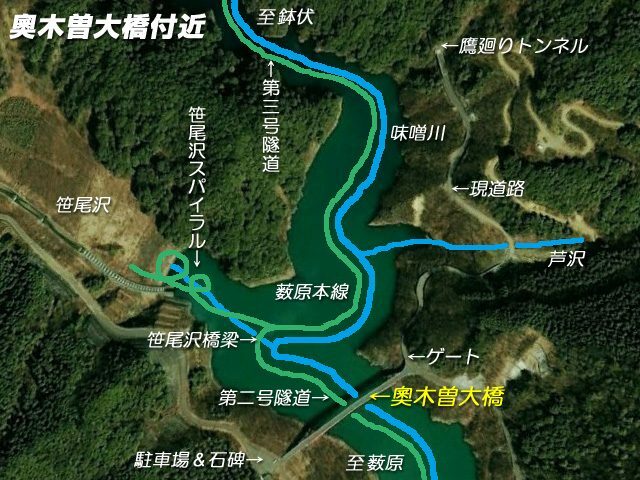 http://rintetsu.net/nagano_05/yabuhara11/yabuhara2_hz17.html to http://rintetsu.net/nagano_05/yabuhara11/yabuhara2_hz18.html, accessed on 4th March 2019.
http://rintetsu.net/nagano_05/yabuhara11/yabuhara2_hz19.html to http://rintetsu.net/nagano_05/yabuhara11/yabuhara2_hz20.html and http://rintetsu.net/nagano_05/yabuhara13/yabuhara2_25.html to http://rintetsu.net/nagano_05/yabuhara13/yabuhara2_39.html , accessed on 4th March 2019.
http://uguigawa.blog42.fc2.com/blog-entry-448.html, accessed on 4th March 2019. 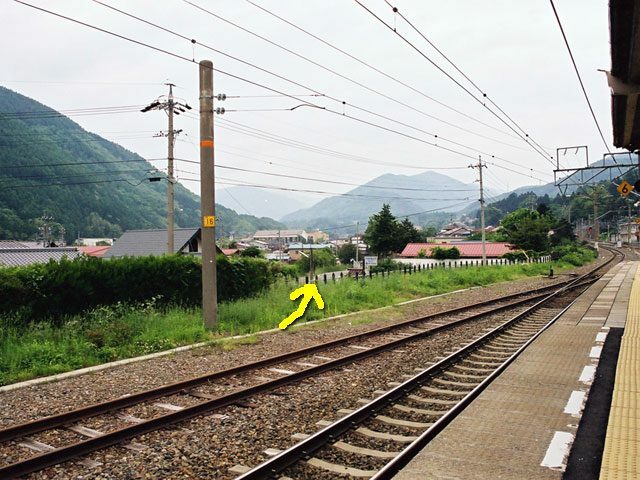 This entry was posted in Japanese Railways, Railways Blog on March 1, 2019 by rogerfarnworth.